This week marks the 50th anniversary of the beloved television series Lost in Space. This fantastic, remastered into HD, blu-ray collection is a must have for fans who can never get enough. From the sweeping theme song and fantastic opening credits, to the amazing B-9, Class M-3 General Utility Non-Theorizing Environmental Control Robot, known as Robot and played by Bob May, Lost in Space thrills me as much now as it did when I was a kid. The adventures of this Space Family Robinson have always held my attention and, I believe, the series will always hold up. I am looking forward to spending a lot of time with the 8 hours of rarely seen footage and the other obscure extras they've included! There are so many reasons to sit down and watch this show, but at the very top of the list is Jonathan Harris' portrayal of Doctor Zachary Smith. Annoyed with everyone, including himself, Smith is the not-as-brilliant-as-he-thinks reason the family is lost. His attitude and presence are amazing. The relationship between Doctor Smith and Robot is so bewilderingly hilarious, but his friendship with young Will Robinson, played by Billy Mumy, is even more stellar, and touching. Perhaps one of the greatest characters ever on the small or large screen, Doctor Zachary Smith is the perfect anti-hero. His insults are amazing! The rest of the cast is fantastic. The art, sets, sounds and stories are all exactly what they should be. I find Lost in Space to be such a fantastic of example of what teevee should be to me, that I was horrified by the late 90's movie remake, even with Gary Oldman playing Smith. 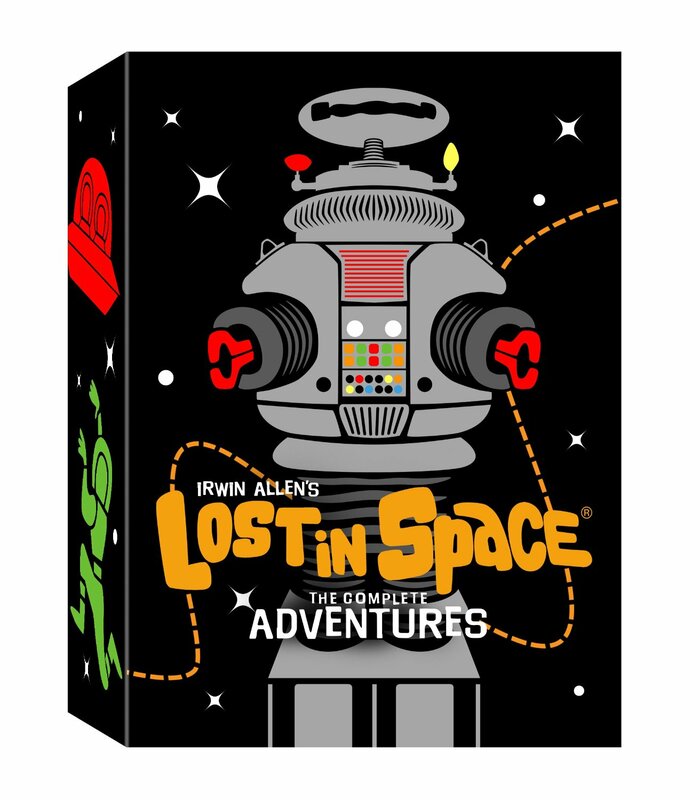 This is no collection for the faint of wallet, at nearly $150 they've packed the set with all 83 episodes of the show, several documentaries, reunions, an animated version of the show, and a lot of other fun material. I don't have a complete set of the show, so I think I can justify it. I once spent hours collecting sound files to make a smartphone profile that played B9, my fandom runs high.